Green Valley Ranch - Quick to 215; short walk to parks, The District, Henderson Pavilion, Recreation Center. MUST SEE! MLS#2070656. Pulse Realty Group LLC. Ascente - Check out the rear yard paradise, with spa, BBQ island, even a deck, perfect for relaxing! MLS#2065547. RE/MAX Unlimited. Easy I-215 Access & Plenty Of Dining/Entertainment Options Green Valley Has To Offer MLS#2066491. Keller Williams Market Place. Adjacent To Paseo Verde Park - Tennis Courts, Bbq, Playground Etc, The District, Shopping & 215. MLS#2065330. RE/MAX Excellence. 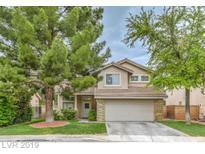 Green Valley Ranch - You Won't Want To Miss This! MLS#2064203. Crown Point Realty, LLC. 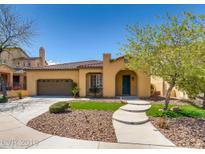 Mountain Pointe - Many parks and walking trails in Green Valley Ranch MLS#2063755. Signature Real Estate Group. Mountain Pointe - Koi pond water feature. Easy to maintain landscaping. MLS#2062641. Centennial Real Estate. Close to GVR casino shopping/restaurants, trails & rec center. MLS#2063223. Signature Real Estate Group. Home is one mile away from Green Valley Ranch Casino and the The District. MLS#2061503. Evolve Realty. Easy access to I-215. Zoned for BOTH VANDERBURG & TWITCHELL. MLS#2059678. Real Estate One LLC. 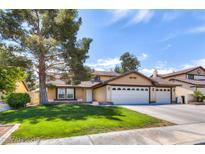 Green Valley Ranch - 1/2bath, Can Use Private Office,Music Room Or Game Room. You Must Come And See! MLS#2059501. Prominent Realty Group LLC. Green Valley Ranch - Ceiling sprinklers Safety feature 2 Car Garage with Tandum MLS#2059438. 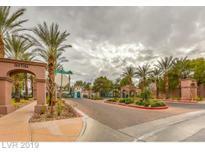 General Realty Group Inc.
Green Valley Ranch - Park and playground in area just outside of the gated entrance. Owner taking Loss! MLS#2055133. Synergy Sothebys Int'l Realty. This home is part of the Green Valley Ranch Community Association. MLS#2052100. Opendoor Brokerage LLC. Highlands At Mac Donald Ranch - Renderings Are Artistic And May Not Be Actual**** MLS#2048455. Paragon Premier Properties. Master Bath features 2 walk in closets. Ready to move in! MLS#2046336. Synergy Sothebys Int'l Realty. Mountain Pointe - Fantastic inviting entry carpet was just replaced last year!You will absolutely love this spacious kitchen, plenty of counter & storage space, gorgeous tile flooring that appears to be wood, cleaning will be so simple & it looks so amazing!Large master bed/bath w/ large walk in closet, double sinks,gorgeous tile flooring. LEASE BUYOUT-30 DAY MOVE-IN MLS#2027754. Turn Key Property Solutions. Green Valley Ranch - Plus you will enjoy having the pool on those hot summer days!LEASE BUYOUT-30 DAY MOVE-IN MLS#2013014. Turn Key Property Solutions. Highlands At Mac Donald Ranch - This Contemporary Custom home features an open floor plan w/ amazing panoramic strip/ city/ mountain & golf course views from almost every room* Top of the line custom finishes include imported marble throughout & onyx in all baths All bedrooms ensuite* Master Chef's kitchen* Glass wine Cellar *Theater room* Huge Master* Media room * A must see! MLS#2003007. Paragon Premier Properties. Green Valley Ranch - Gated security is part of the HOA. MLS#2000374. Opendoor Brokerage LLC. Highlands At Mac Donald Ranch - Over 7,000 Square Ft., Beautiful new construction with gourmet kitchen, large dining area, wet bar, open floor plan, strip view, large loft, separate guest room w/own entrance/large closet/private fridge/steam shower hook up for buyers option, private theater room w/ wet bar, balcony, covered backyard ready for buyer to customize to their own taste, outside fireplace w/ it's private patio, master bedroom w/ wet bar & large walk in closet. MLS#1994001. Platinum R.E. Professionals. Green Valley Ranch - Do Not Miss this Exquisite Home! MLS#1986593. Keller Williams Southern Nevada. Highlands At Mac Donald Ranch - Welcome to your Dream Home in MacDonald Highlands! MLS#1973032. Meridias Realty Group.